Whether you live in a loft apartment or you’re moving into the dorms for the first time, one thing is certain: it can be very challenging to keep a small space tidy and organized. Even the smallest pile of papers, toys, or laundry can make your home feel cluttered, but with some clever planning, you can keep your space looking great. At Major Organizers™, we specialize in helping our customers reclaim their home, one room at a time, and we’d love to help you, too! In today’s blog, we’ll review a few handy tips for making the most of your small space while keeping it organized. Read on to learn more! S — Sort your items into categories, placing similar items together. T — Treasure those items that really matter and decide what to get rid of. E — Establish new places for items and devise a system that works. P — Plan for how many containers you’ll need for the items you’re keeping. S — Start new habits by implementing your new organization system. When you’re faced with making a small space work for you, decluttering should always be your first step in home organization. To learn more about this process or to request professional assistance from one of our Liberators, call 1-888-549-8854 today! 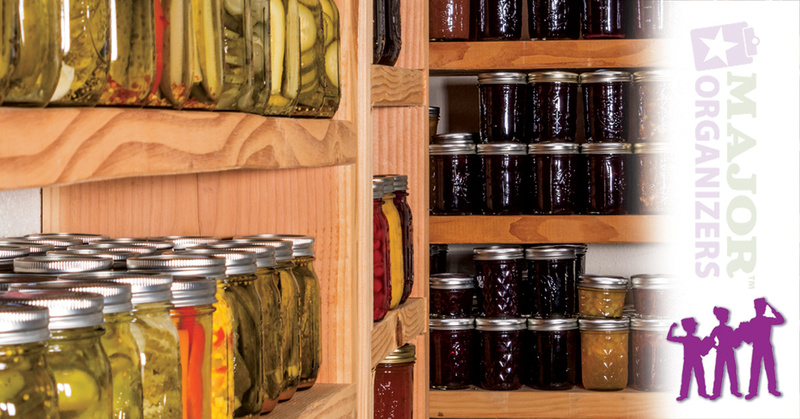 When we first enter a home, it’s not uncommon for our trained eyes to immediately spot additional storage space that’s gone unused by our customers. This often comes in the form of vertical space. Whether it’s the small alcove under your stairs, the empty space in your closet beneath your hanging clothes, or the corners of rooms, there’s a lot of vertical space in homes that goes unused. Have you ever considered turning that space under your stairs into a small storage closet for blankets, shoes, or other items? 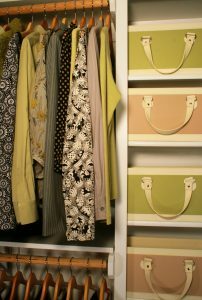 How about placing a dresser beneath the clothes in your closet to free up floor space in your bedroom? You can even find inexpensive corner shelving units that allow vertical storage to maximize your small space. In addition to maximizing your open vertical spaces, you can never go wrong with wall shelves. Whether they are open or closed, installing shelving on your walls allows you to get items off the floor and stow them away in a space that might otherwise go unused. The great thing about open shelving is that it serves a dual purpose. It serves as storage, but it can also serve as a decorative element in any room. Once you’ve gone through the S.T.E.P.S. process and pared down your belongings appropriately, you can display them in an aesthetically pleasing manner that allows you to enjoy items like dishes, books, artwork, and similar items when they’re not in use. Whether you have a large home or a small dorm, we understand that it can be challenging to complete a home organization project alone. Major Organizers provides industry-leading organization services that come with our “No Judging Guarantee.” Curious about what our customers have to say? Check out our testimonials and then review the packages we have to offer. Call us at 1-888-549-8854 today to get started!